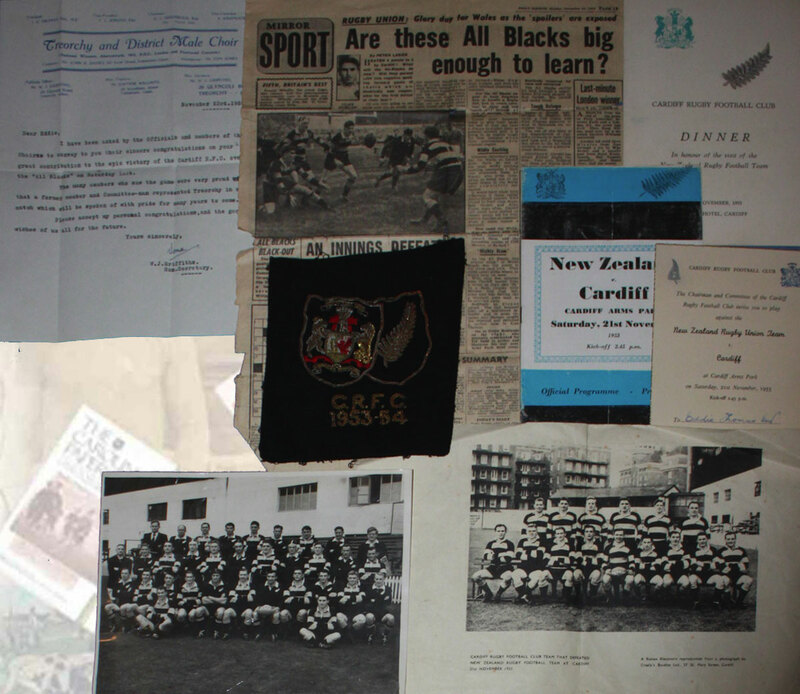 Collections of Rugby Memorabilia from players and officials. 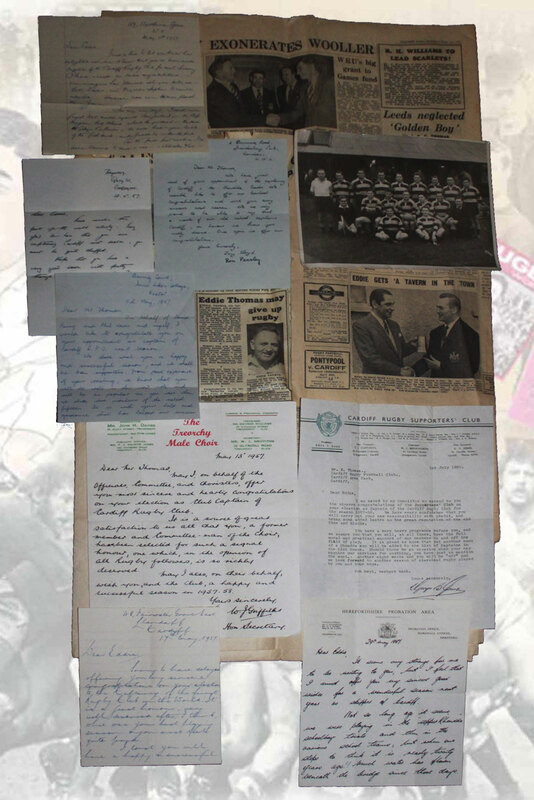 PENTRE SCHOOL'S ARCHIVE - A group of items relating to Eddie Thomas' life as a pupil and teacher at Rentre School in the Rhondda. 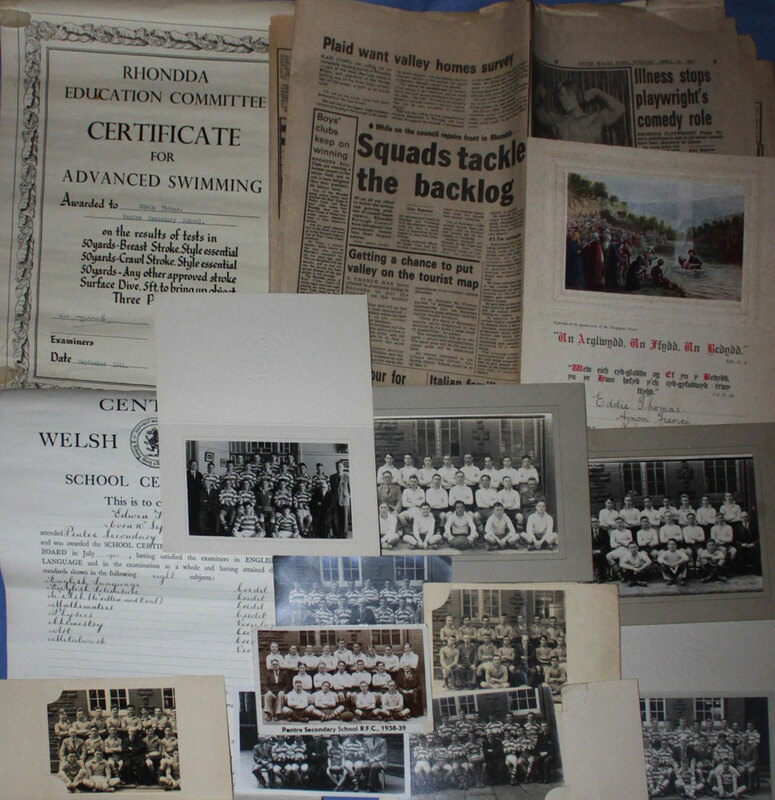 The group consists of 9 photographs and 1 postcard of Pentre Secondary School's rugby team, church certificate (Welsh Baptist) October 1938, Eddie's school certificate of July 1940 and certificate for advanced swimming September 1941, a newspaper article in the South Wales Echo of 26 April 1983 of Pentre School featuring one of the photos. 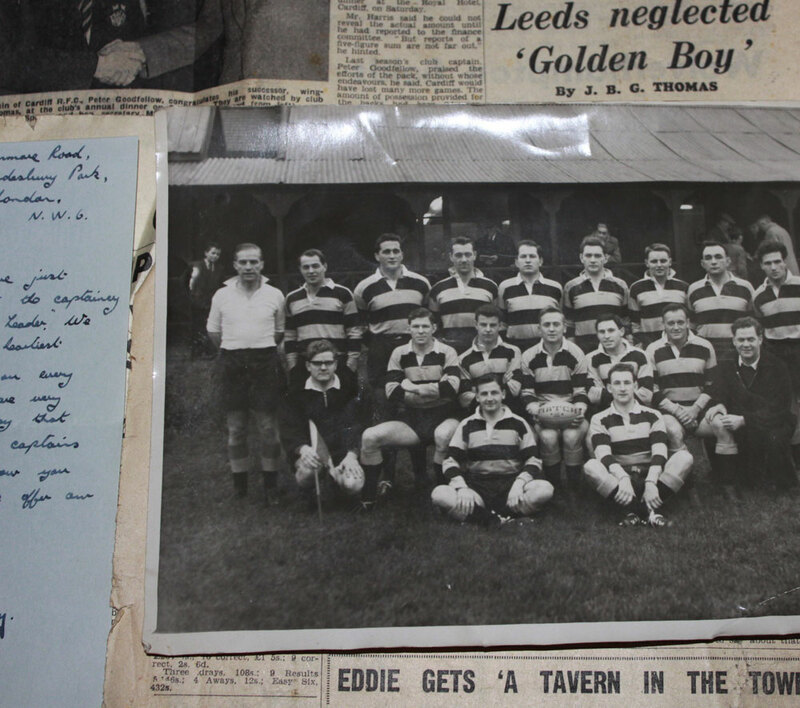 Several photographs relate to Eddie's teaching days also at Pentre School and include team photographs from the following seasons: 1950-1, 1953-4, 1955/6 & 1957. 14 items in generally good condition. 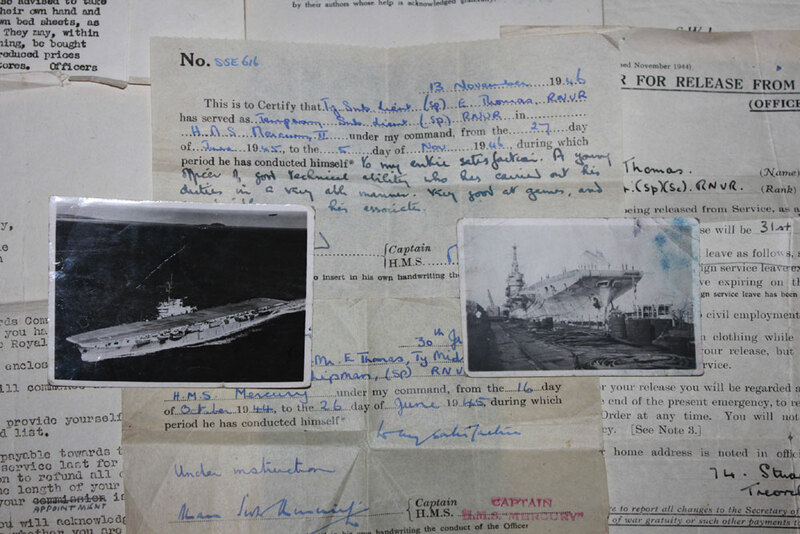 EDDIE THOMAS WAR-TIME (WORLD WAR II) SERVICE ARCHIVE - OLQ booklet on the Royal Navy, 2 small photographs of HMS Oceon, 3 letters relating to his appointment to HMS Victory and HMS Mercury, 2 appraisal notes, Release From Naval Service document and letter, income tax form ending 5 April 1946, Certificate of Post War Credit. 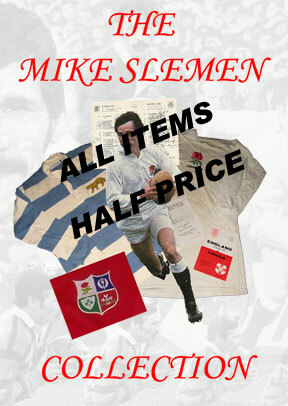 12 items in generally fair to good condition. 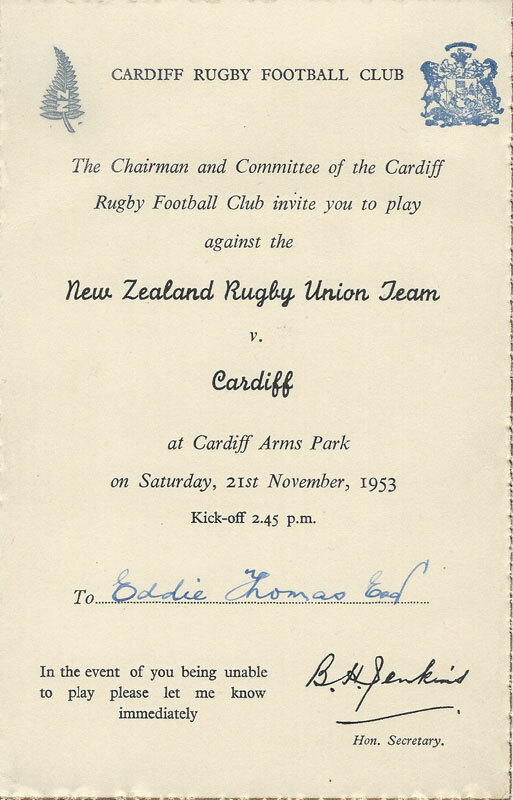 CARDIFF v NEW ZEALAND 21 NOVEMBER 1953 PLAYER'S ARCHIVE - Probably the greatest day in Cardiff's illustrious history - beating the mighty All Blacks 8-3 at Cardiff Arms Park. 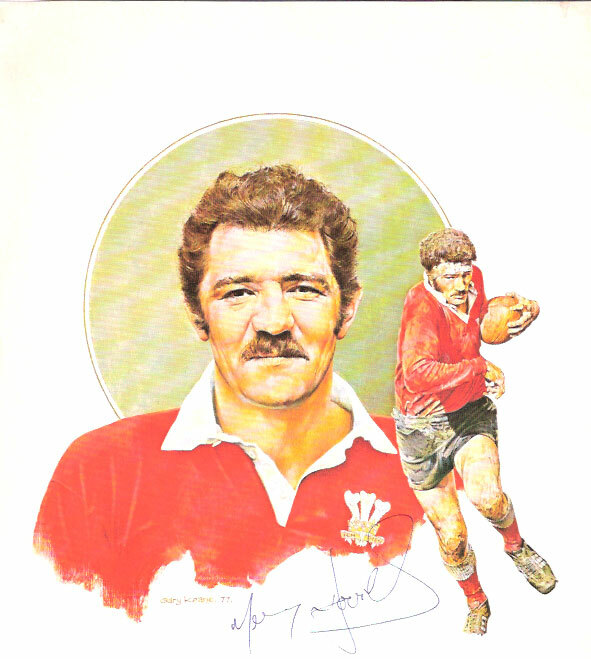 Captain of Cardiff that day was Bleddyn Williams who, 4 weeks later, captained Wales to victory over New Zealand (13-8), for a unique double. 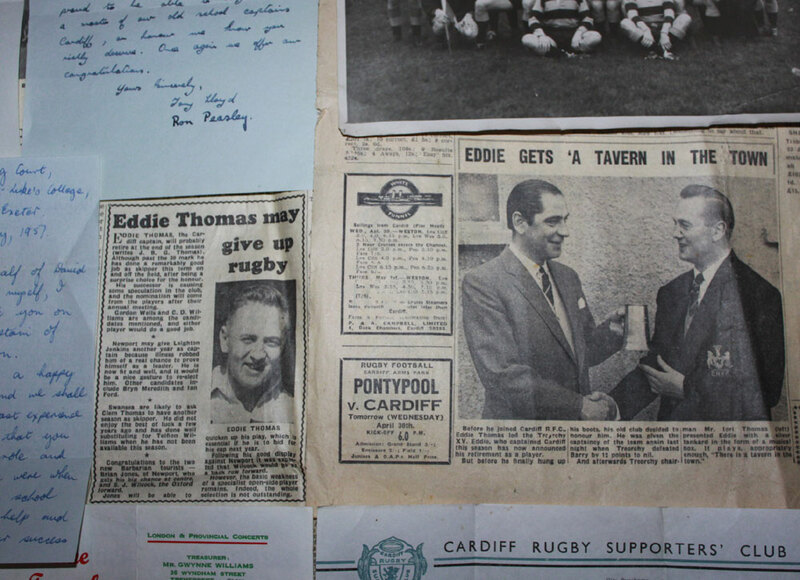 This group of Eddie's includes his selection card to play in the match, match programme, post match dinner menu, photograph of both teams, specially commissioned blazer badge for the game, newspaper cutting from Daily Mirror of match report, congratulations letter from Treorchy & District Male Choir, facsimile copy of Cardiff team photo. 8 items in generally good condition. 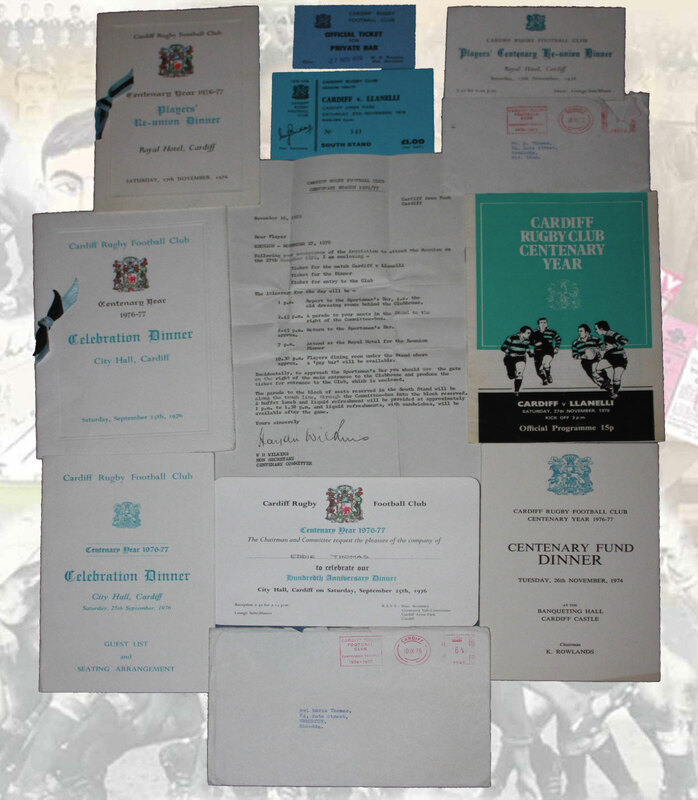 CARDIFF RFC SEASON 1957-58 CAPTAIN'S ARCHIVE - A group of items relating to Cardiff Captain Eddie Thomas from the 1957-58 season. 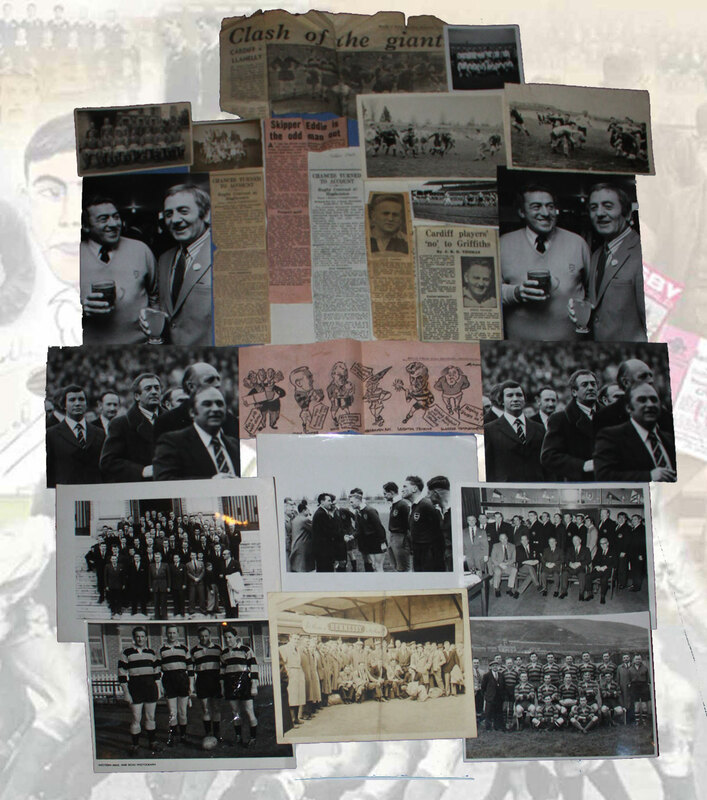 Team photograph, 8 letters of congratulations, including 3 on headed notepaper from the Treorchy Male Choir, Cardiff Supporters Club and Herefordshire Probabtion Area and 3 newspapers/cuttings on the appointment of club captain. 12 items in good condition. 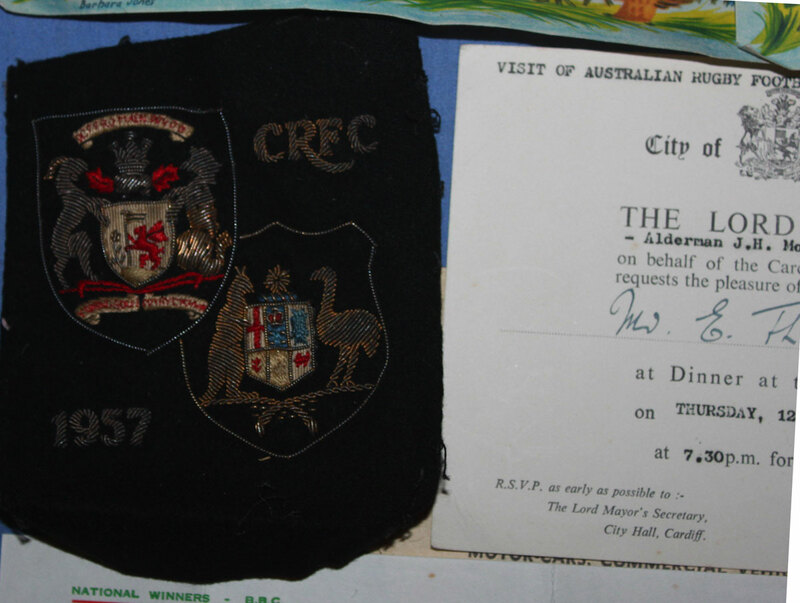 CARDIFF v AUSTRALIA 14 DECEMBER 1957 MEMORABILIA ARCHIVE - Captained by Eddie Thomas, Cardiff won 14-11 to register their 3rd consecutive victory over the Wallabies (24-8 in 1908 and 11-3 in 1947). 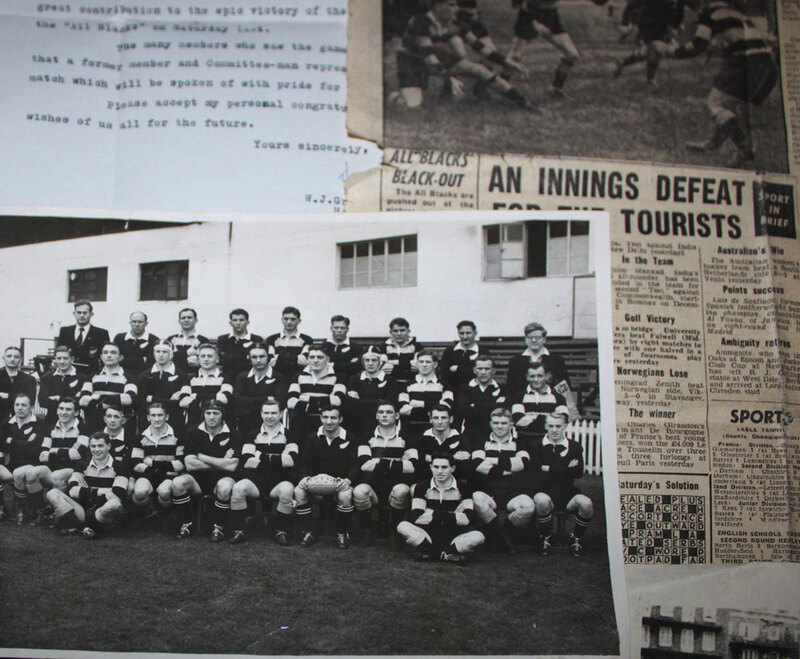 This group includes Eddie's letter of selection, an invitation by the Western Mail to meet the Wallabies, invitation by the Lord Mayor and menu for dinner at the Castle on 12 December, ticket for lunch at the Royal Hotel on the day of the game, match ticket and programme, post match dinner menu and invitation, blazer badge specially commissioned for the game, two photographs from the dinner, facsimilie copy of Cardiff team photograph, 3 letters and 7 telegrams of best wishes and congratulations, 3 newspapers/cuttings and one photocopy of newspaper match report. 27 items in good condition. 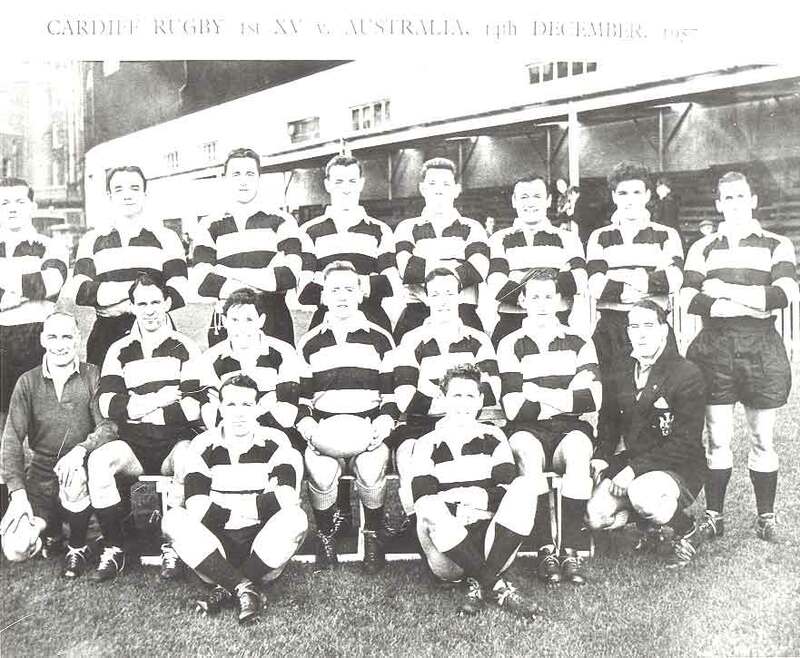 CARDIFF v AUSTRALIA 14 December 1957 - a modern reproduction Cardiff team photograph plus a photocopy of newspaper match report. 2 items in good condition. 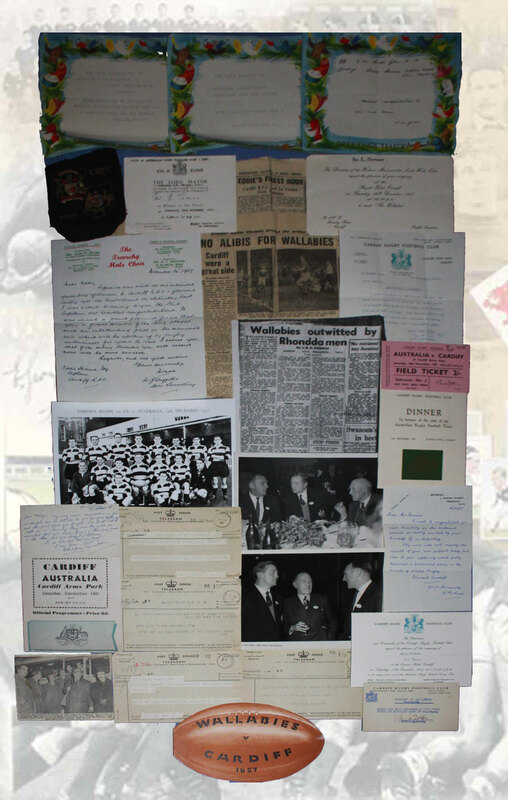 CARDIFF v AUSTRALIA 1966 DINNER MENU CARD AND INVITATION - A menu card for the after match function at the Angel Hotel on 5 November 1966. 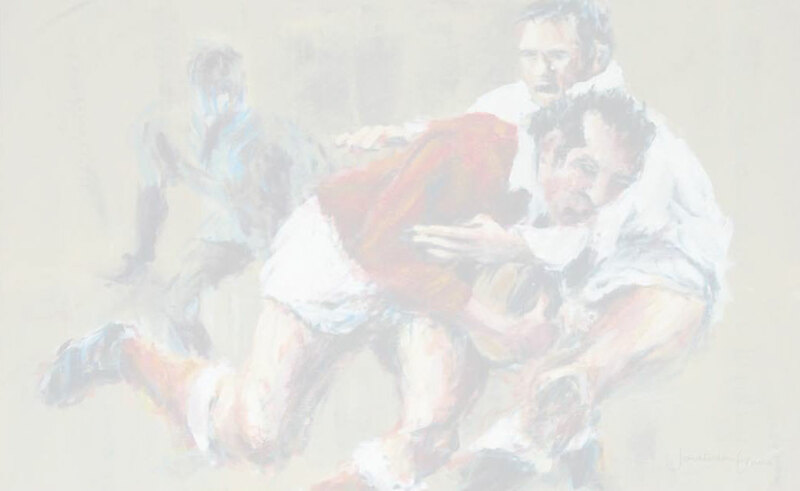 This was a was wonderful day for Cardiff as they beat the Wallabies 14-8. 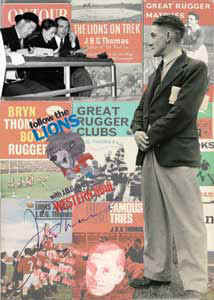 The fold over menu card is signed to the back cover by Wallaby captain John Thornett. The invitation is folded. 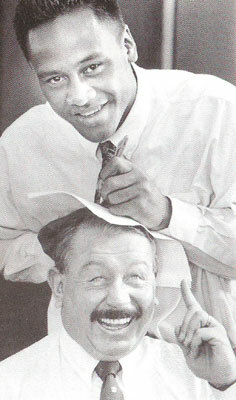 2 items. 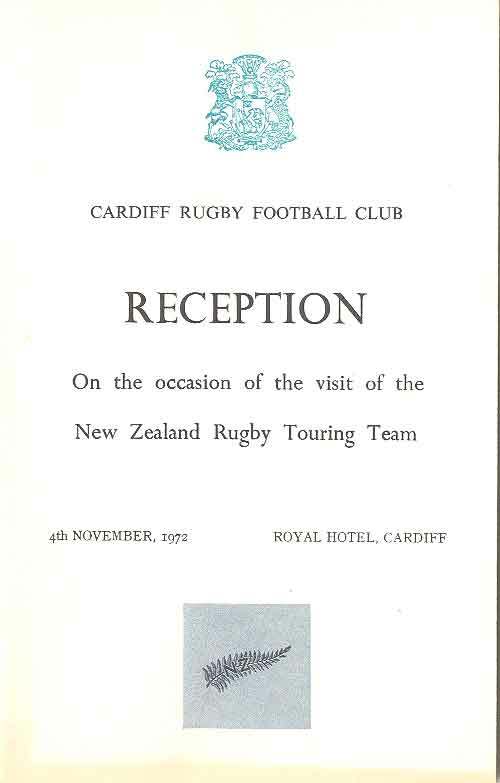 CARDIFF v NEW ZEALAND 1972 DINNER MENU CARD - A menu card for the after match function at the Royal Hotel on 4 November 1972. 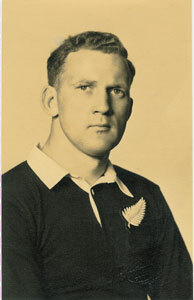 New Zealand won 20-4. 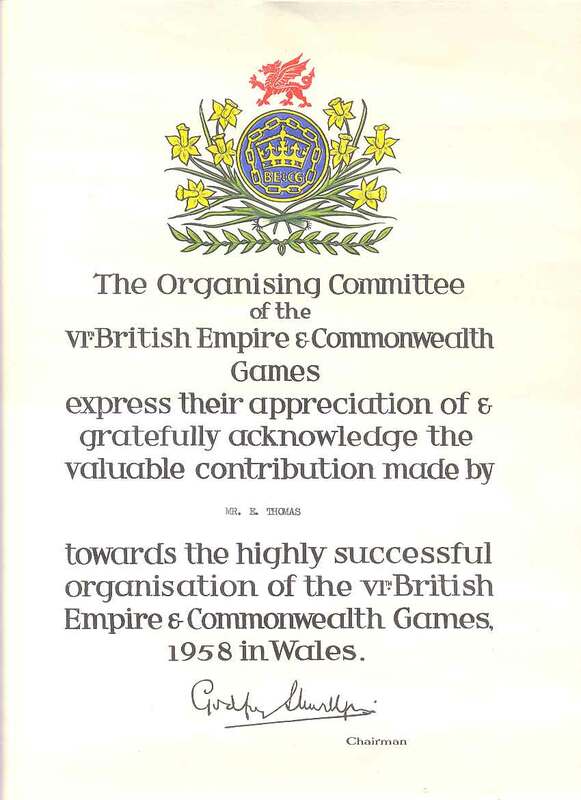 The fold over menu card is in good condition. 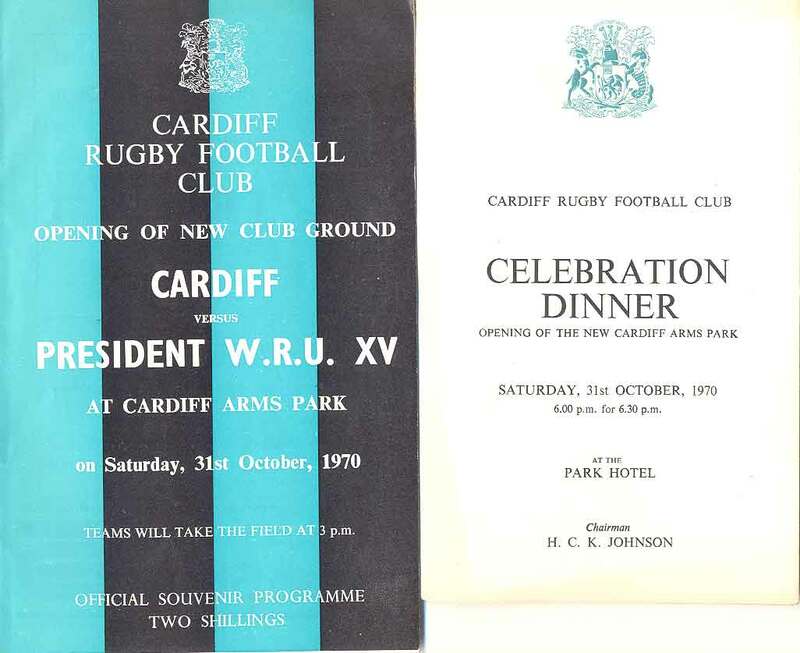 CARDIFF v WRU PRESIDENT'S XV 31 OCTOBER 1970 - Match programme and fold over dinner menu from the game to open the new club ground at Cardiff Arms Park. 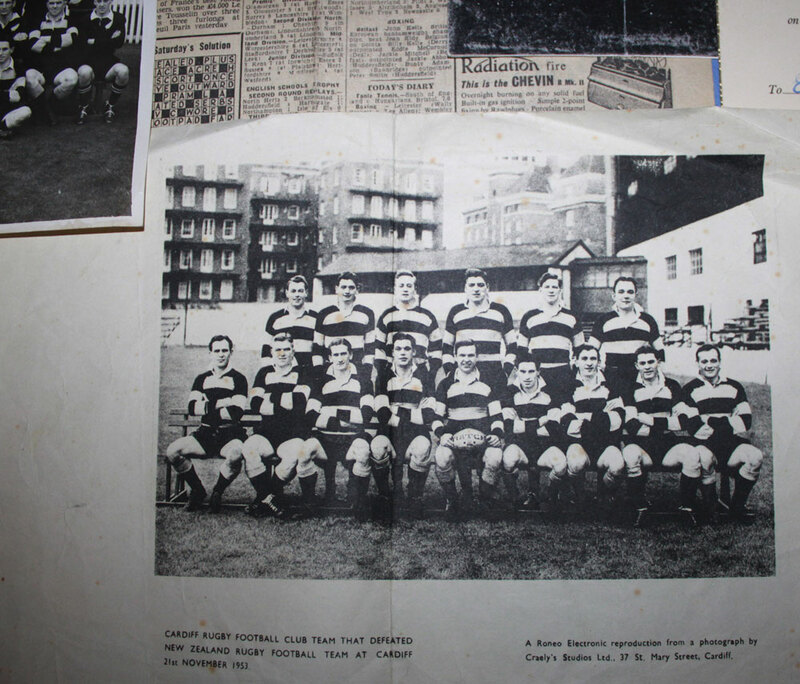 Cardiff won 17-8. 2 items in very good condition. 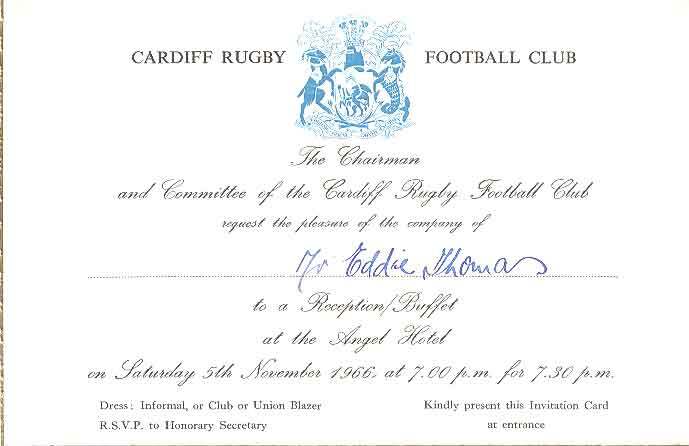 CARDIFF RFC CENTENARY SEASON 1976-77 - Centenary Fund dinner menu at Banqueting Hall, Cardiff Castle on 26 November 1974, Celebration Dinner menu, guest list and invitation at City Hall on 25 September 1976, Players' Reunion dinner menu, invitation (letter and card) at Royal Hotel plus match programme & ticket (Cardiff v Llanelli) and "private bar" ticket on 27 November 1976. 10 items in very good condition. 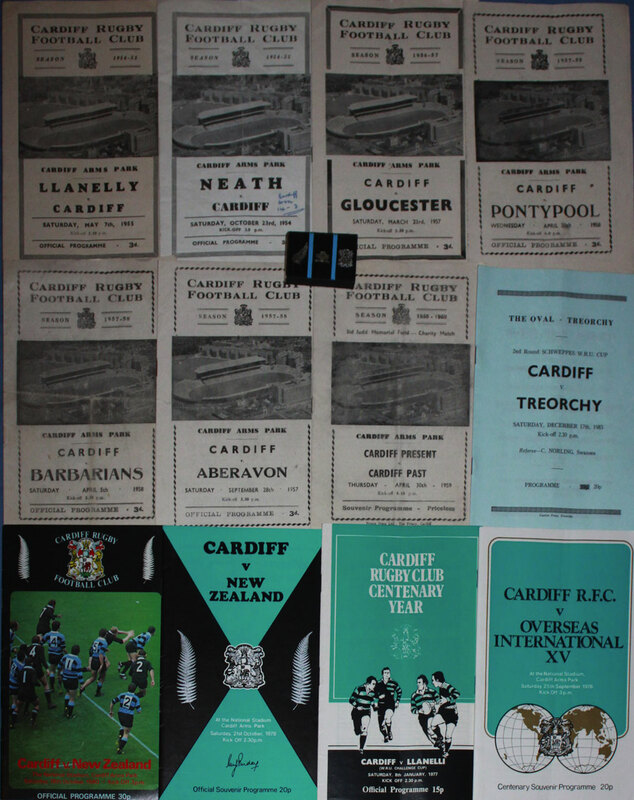 CARDIFF RFC PROGRAMMES 1954-1983 - 11 match programmes (all home) v Neath 23 October 1954, v Llanelli 7 May 1955, v Gloucester 23 March 1957, v Aberavon 28 September 1957, v Barbarians 5 April 1958, v Pontypool 30 April 1958, v Cardiff Past 30 April 1959, v Overseas International XV 25 September 1976, v Llanelli (Cup) 8 January 1977, v New Zealand 21 October 1978 and v New Zealand 18 October 1980 plus Treorchy v Cardiff (Cup) 17 December 1983 and a match box from the Cardiff v New Zealand 1980 match. 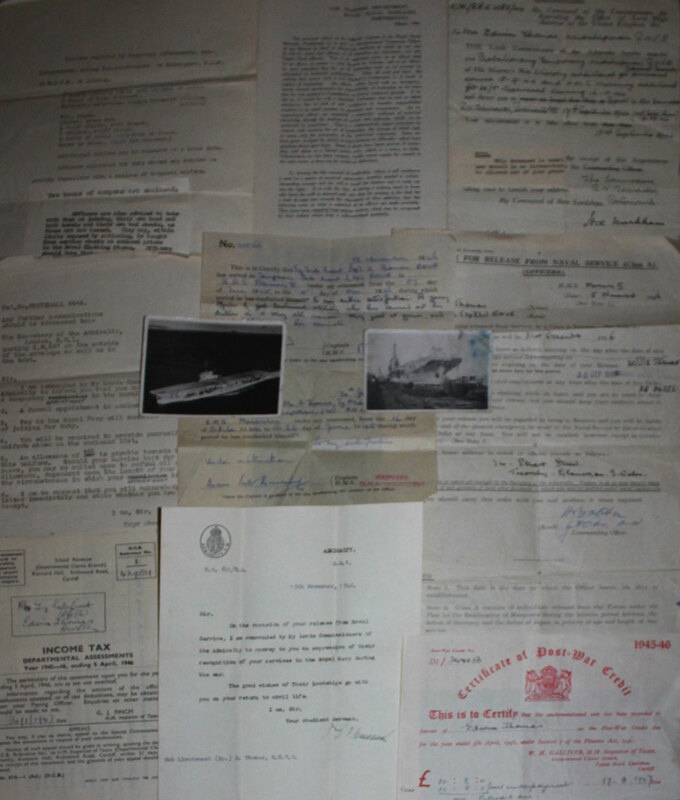 13 items in fair to very good condition. 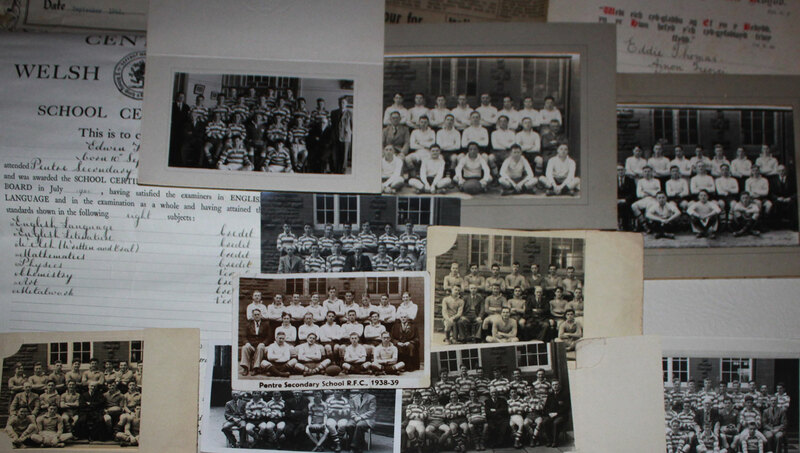 MISCELLANEOUS COLLECTION OF RUGBY PHOTOGRAPHS (17) - including action, team and group photos, generally in good to very good condition, some duplication, to include a Cardiff player group shot of Eddie Thomas with Rex Willis, Cliff Morgan and one other, none of the photos have information to the reverse, plus miscellaneous press cuttings in varying condition (6). 23 items. 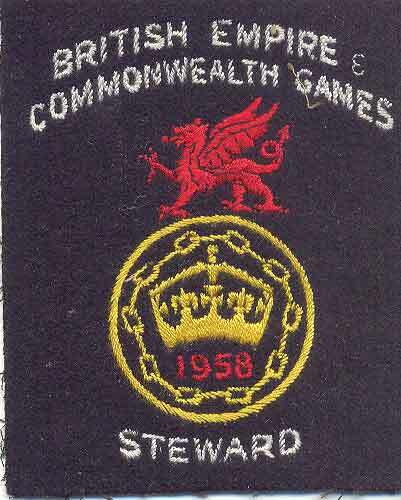 BRITISH EMPIRE & COMMONWEALTH GAMES IN WALES 1958 - Certificate of appreciation towards the organisation of the games plus a steward's blazer badge. 2 items in very good condition. 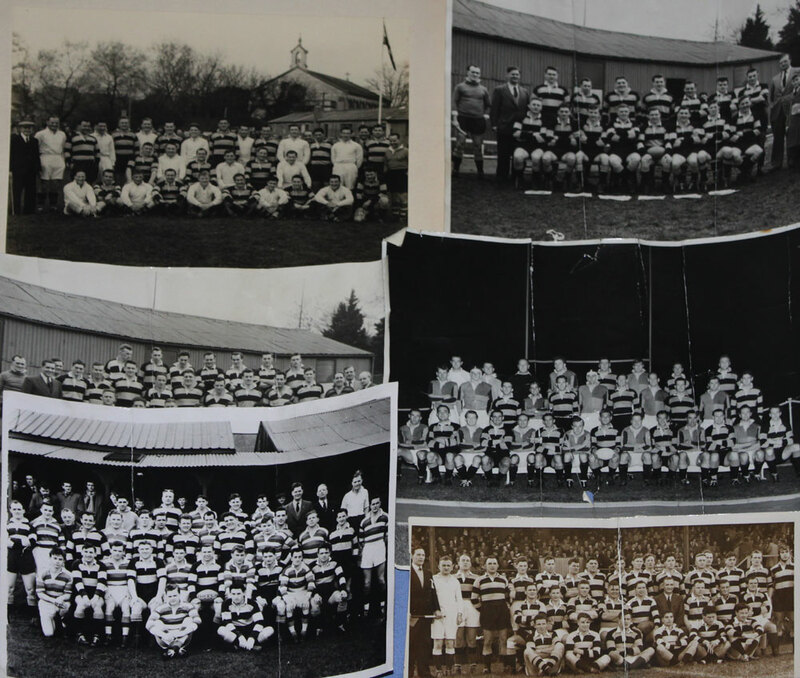 CARDIFF RFC TEAM PHOTOGRAPHS 1950s - 6 team photographs from the 1950s, some with opponents. 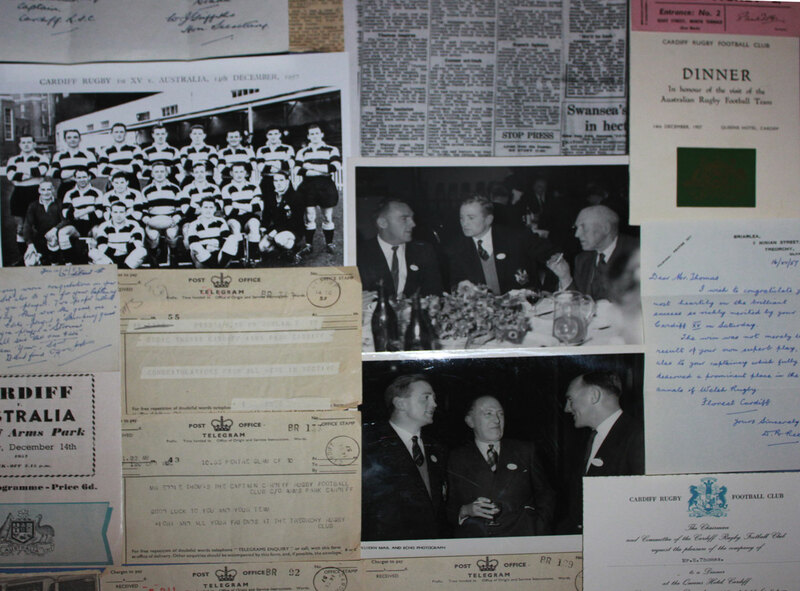 Photos include one with notation 'possibly Treorchy v Cardiff 9/9/54 to open clubhouse' (on mount at centre of illustration), 5 photographs have been folded (1 of which is torn) and 1 mounted. 6 items. 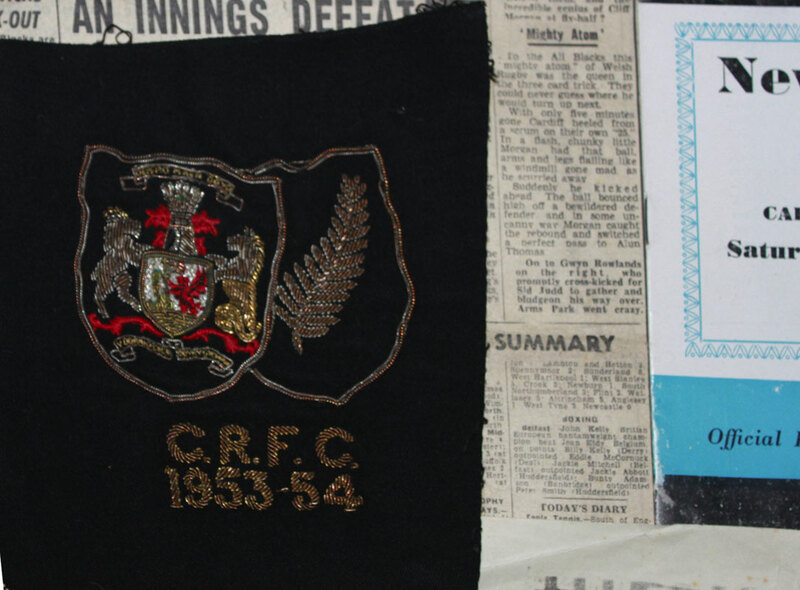 CARDIFF RFC ANNUAL DINNER MENUS 1958-1982 - Cardiff RFC Annual Dinner at Royal Hotel on 3 May 1958 an 9 May 1959, Annual Dinner at Cardiff RFC Clubhouse on 21 May 1982. 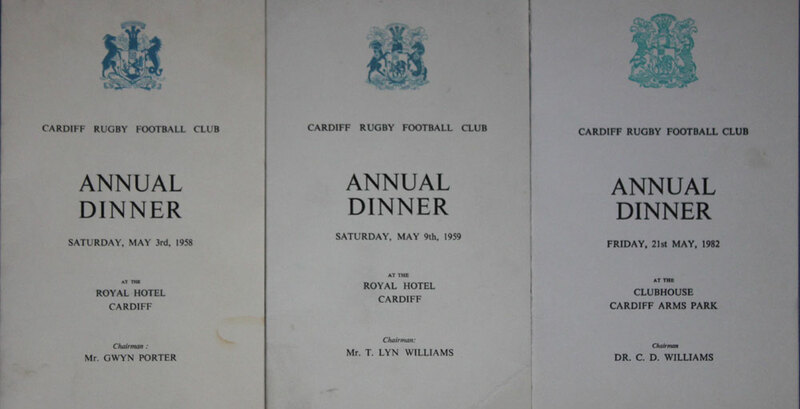 3 fold over dinner menus in good to very good condition. 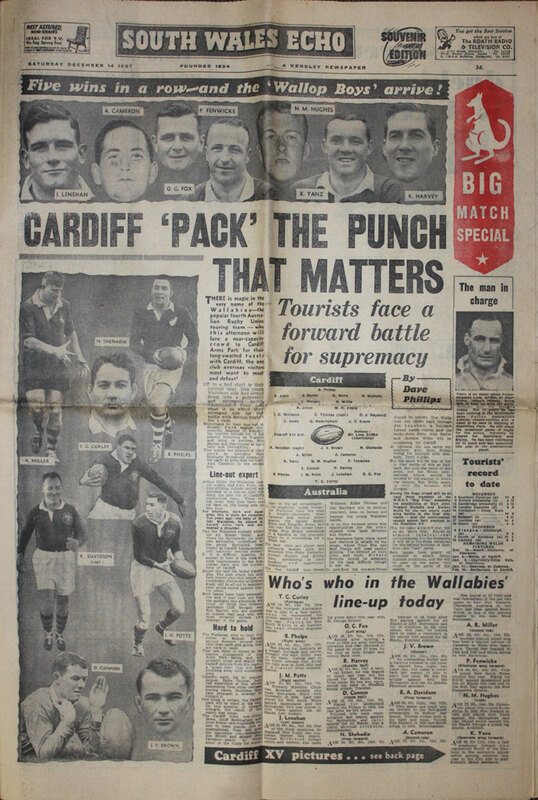 1957 - 16th December - Western Mail - A complete 10 page broadsheet Monday edition of the Western Mail with a match report of Cardiff beating the Wallabies. 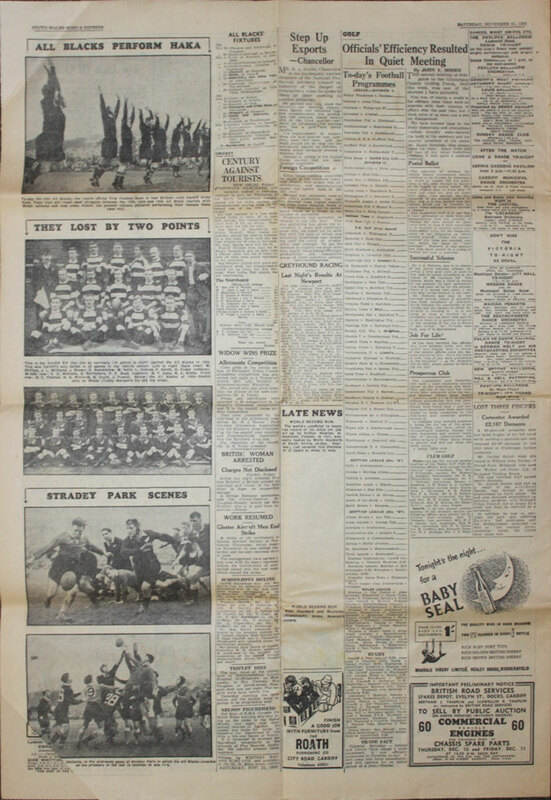 Also included in this edition is a front page article about 100 Juventus fans hurt as John Charles scores, talks over Liverpool's plan to flood the town of Tryweryn. 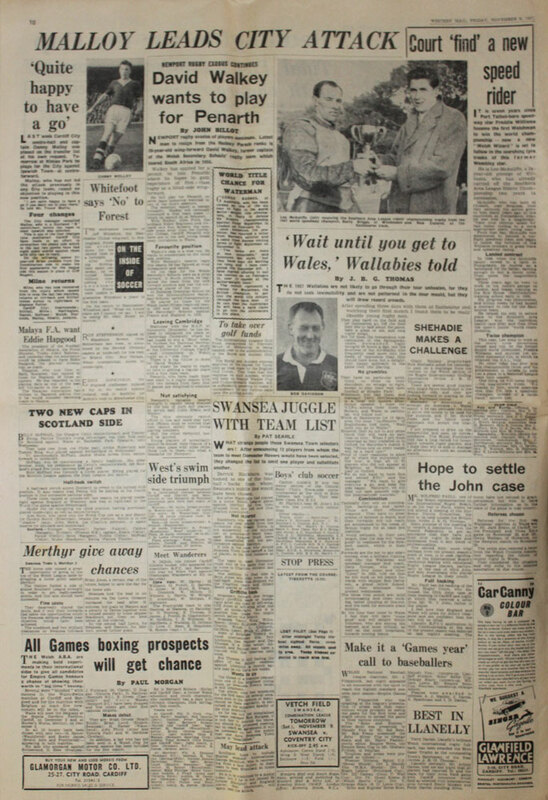 Wales back in the 1958 World Cup, Fulham v Cardiff City, Newport County v Bournemouth & Swansea Town v Bristol City football match reports plus Bridgend v Neath, Ebbw Vale v Swansea and Aberavon v Newport rugby reports. 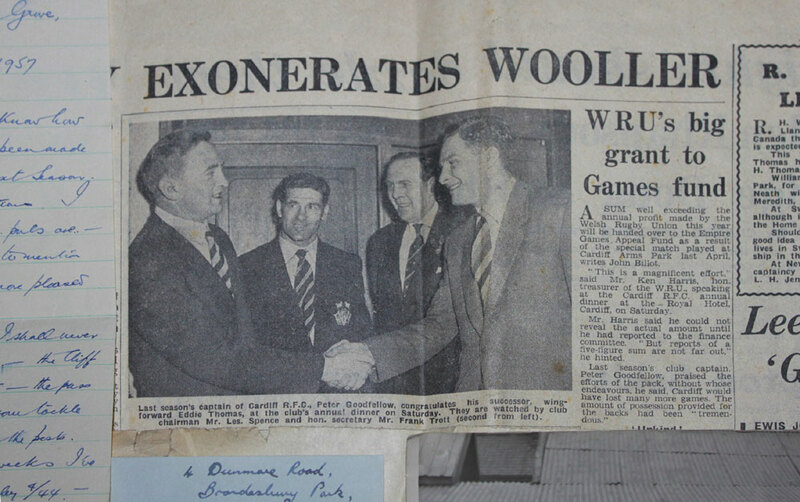 In very good condition with the usual newspaper folds. 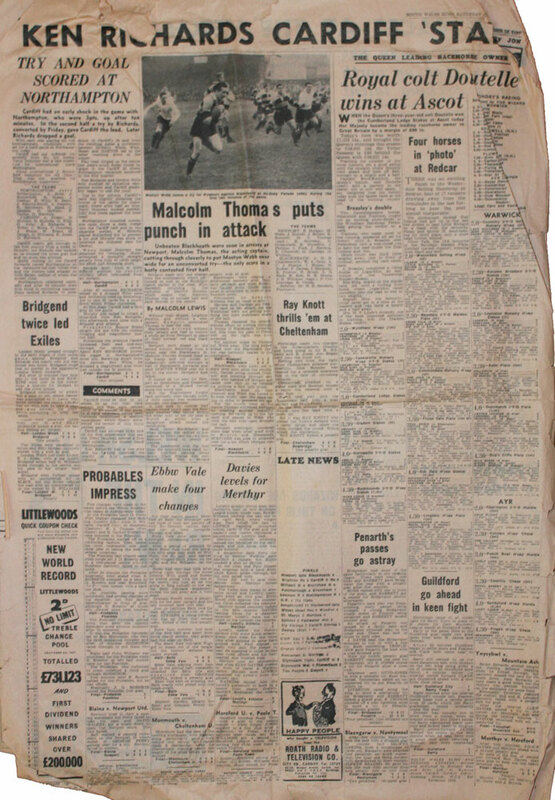 1953 - 21st November - South Wales Football Echo Final Edition. 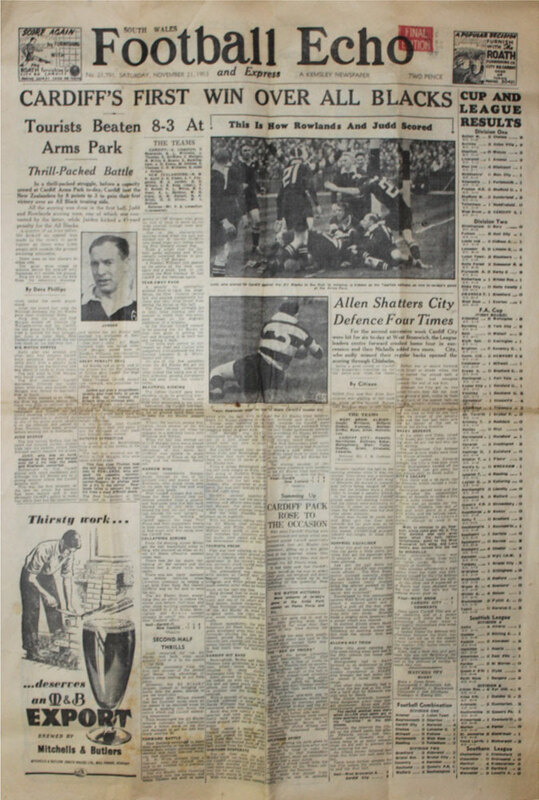 A complete 6 page edition with a large section of the front page dedicated to Cardiff's victory over the 1953 All Blacks. 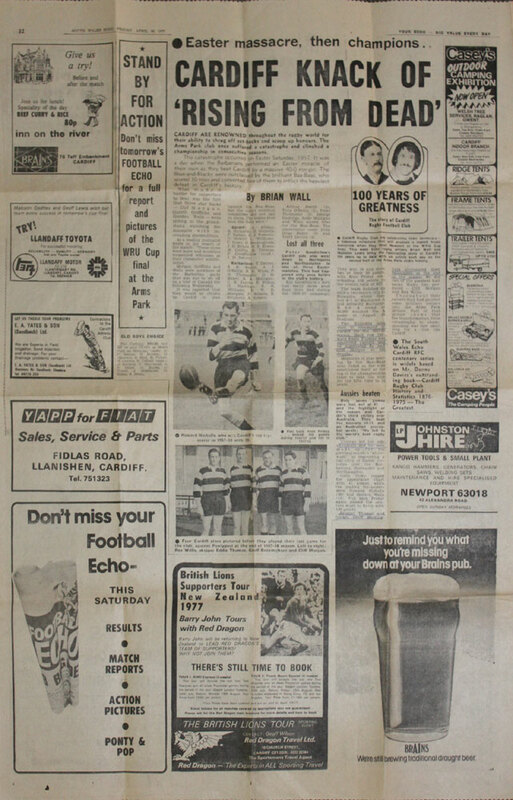 Two other pages contain photos from the match, other articles/reports include Don Hayward and New Zealand club rugby, West Brom v Cardiff & Cambridge Utd v Newport County football reports, Cambridge Uni v Newport & Pontypool v Devonport Services, Aberavon v Llanelli & London Welsh v Neath rugby reports. 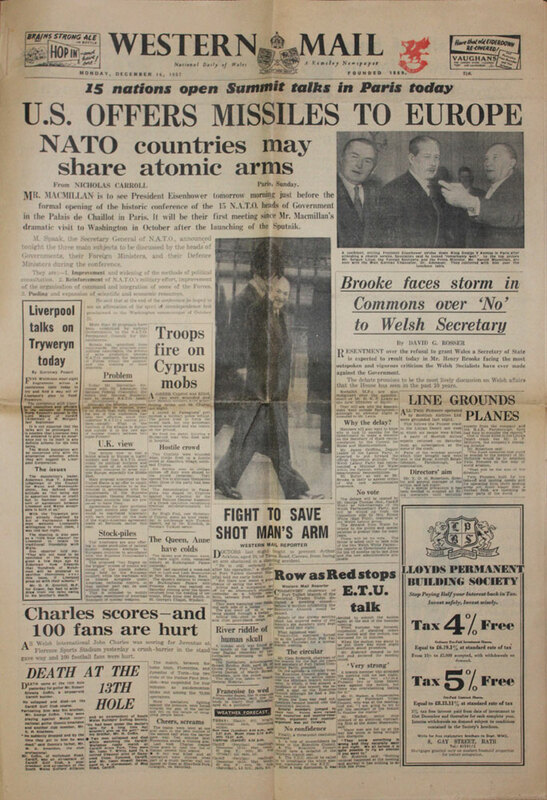 1953 - 21st November - South Wales Echo Souvenir Edition. 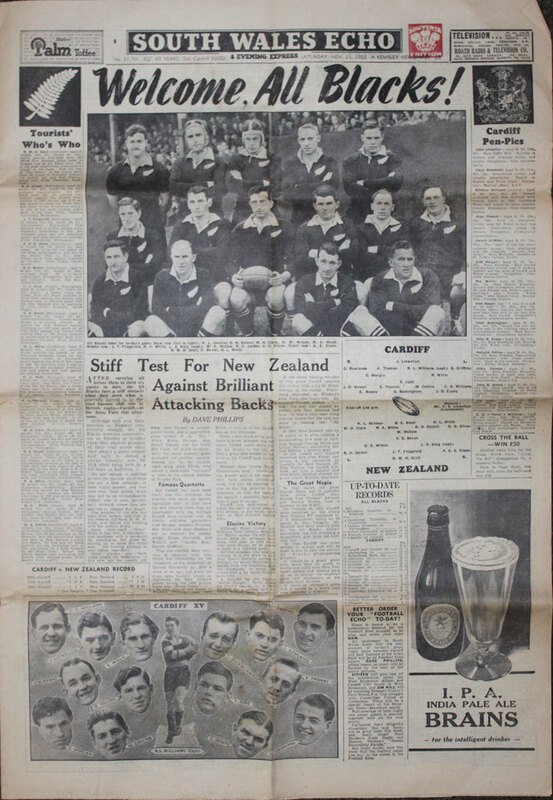 A pre-match Cardiff v New Zealand 1953 6 page souvenir edition complete, with front and majority of the back page dedicated to the match. 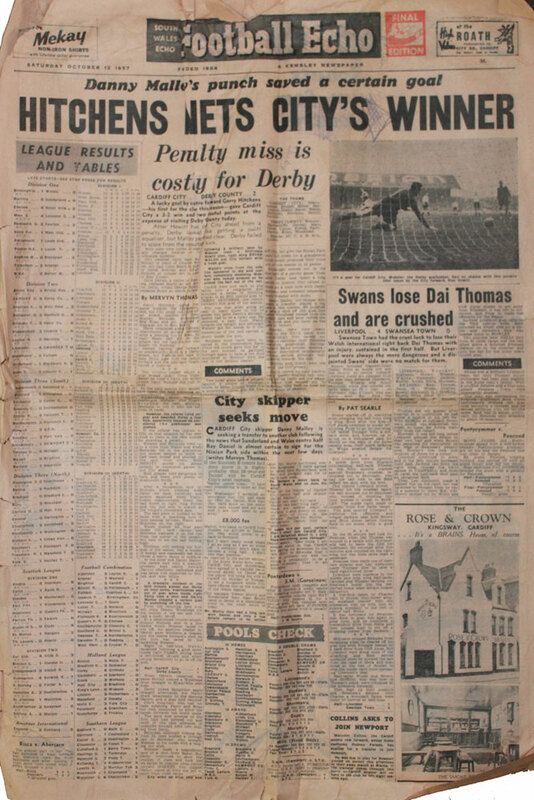 1957 - 12th October - Football Echo Final Edition with front page headlines 'Hitchens Nets City's Winner' relating to Cardiff City's 3-2 victory over Derby County, this page also contains a report from Liverpool's 4-0 win over Swansea. 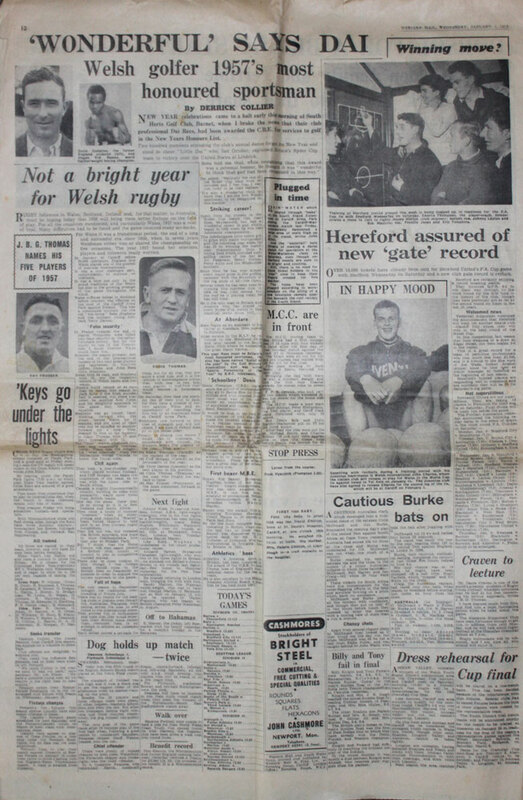 The majority of the back page is dedicated to rugby with the main headlin 'Ken Richards Cardiff Star', Cardiff's 8-3 victory over Northampton, other reports includ Newport v Blackheath, Bath v Ebbw Vale & london Welsh v Bridgend. 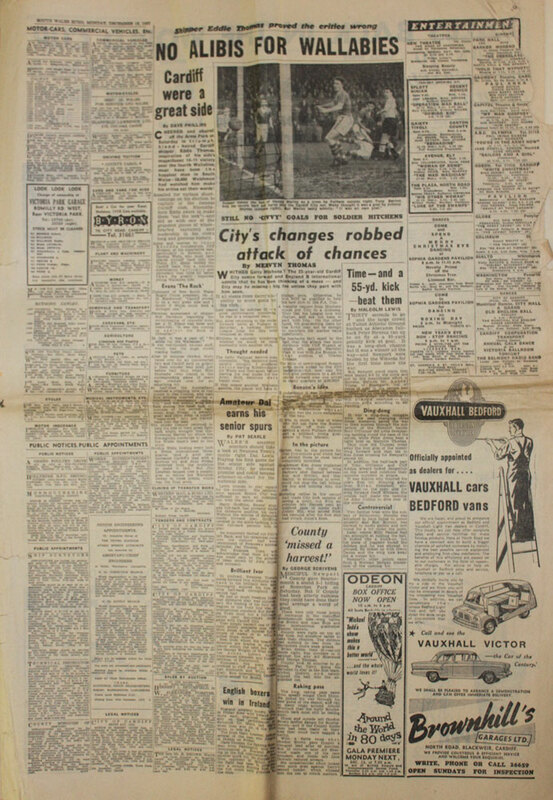 Some creasing and minor loss to front and back pages, some pen marks also on the front page. 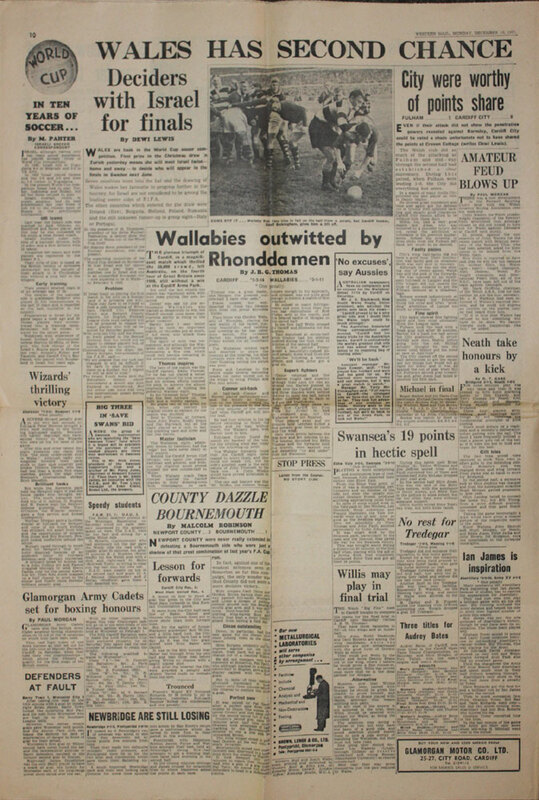 1957 - 16th December - South Wales Echo - Monday 'late Rhondda'edition of the Cardiff area evening newspaper with and article on the inside back page about the club's victory over the Wallabies. 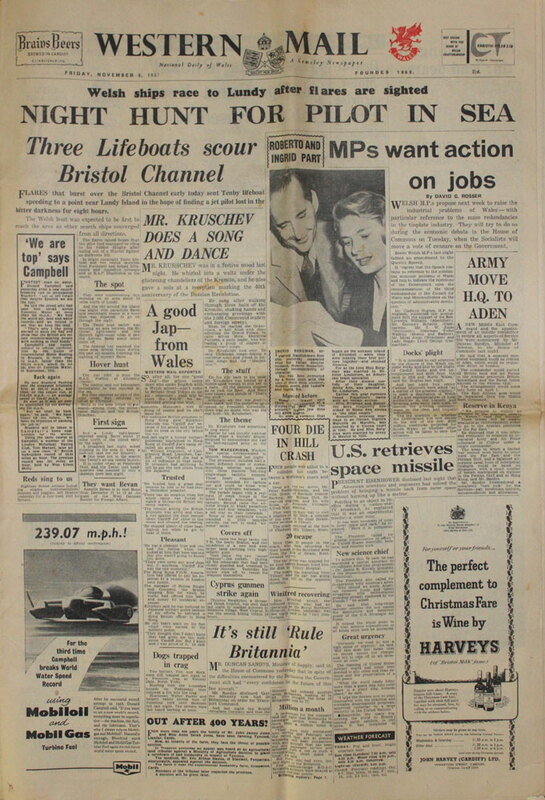 Includes a 'sub-headline' 'Skipper Eddie Thomas Proves the Critics Wrong' some extra folds and a small corner missing from this page. 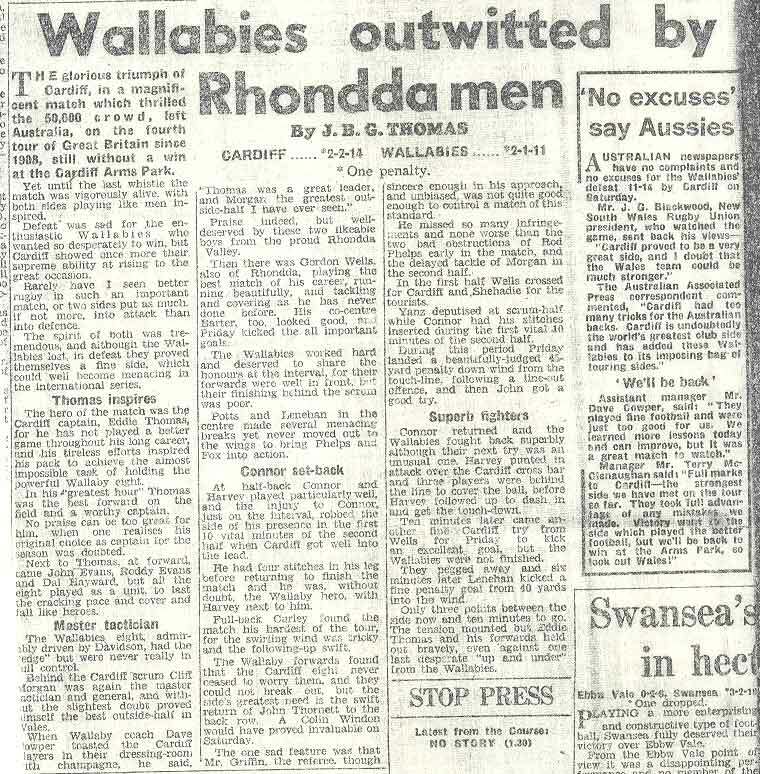 1957 - 8th November - Western Mail - includes a JBG Thomas preview of the Wallaby tour and the usual sporting and national news. 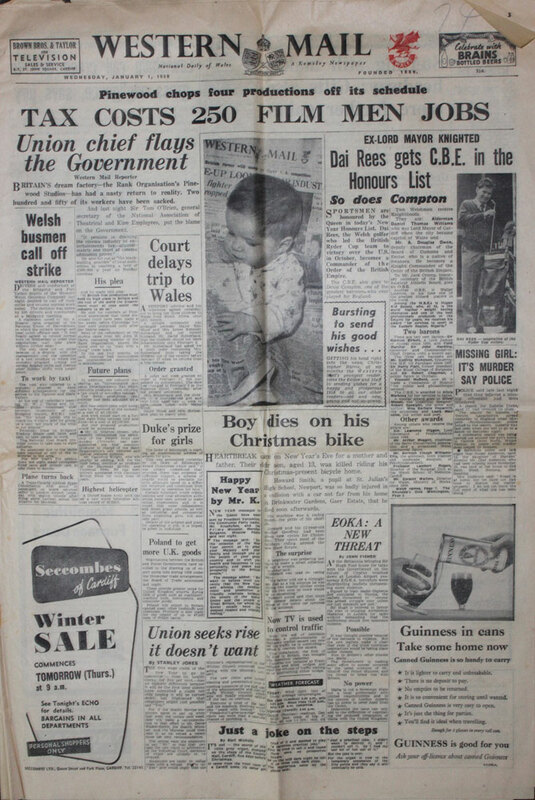 1957 - 14th December - South Wales Echo Souvenir Edition. 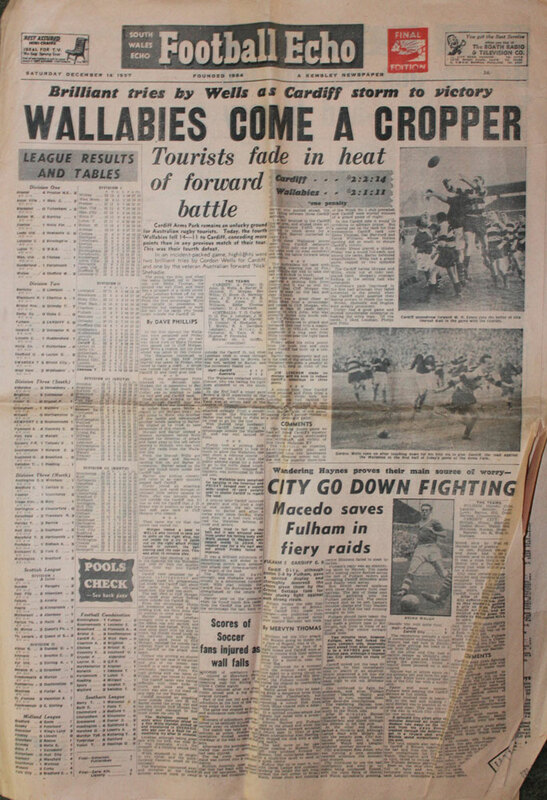 A pre-match Cardiff v Australia 1957 souvenir with the majority of back and front pages dedicated to the match. An 8 page broadsheet newspaper with the usual folding creases. 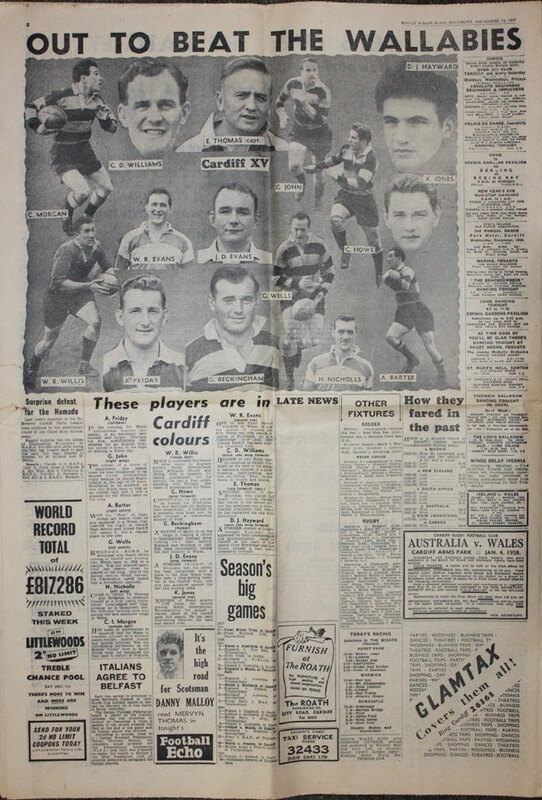 1958 - 1st January - Western Mail - New's Years Day edition with a back page article by JBG Thomas naming the 5 players of the year, No 1 being Eddie Thomas of Cardiff ahead of 4 other Welsh rugby greats: Cliff Morgan, Terry Davies, Clem Thomas & Ray Prosser. 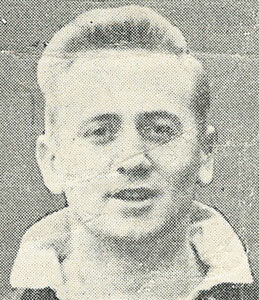 The paper also includes the Queen's New Years Honours List with golfer Dai Rees grabbing all the headlines. 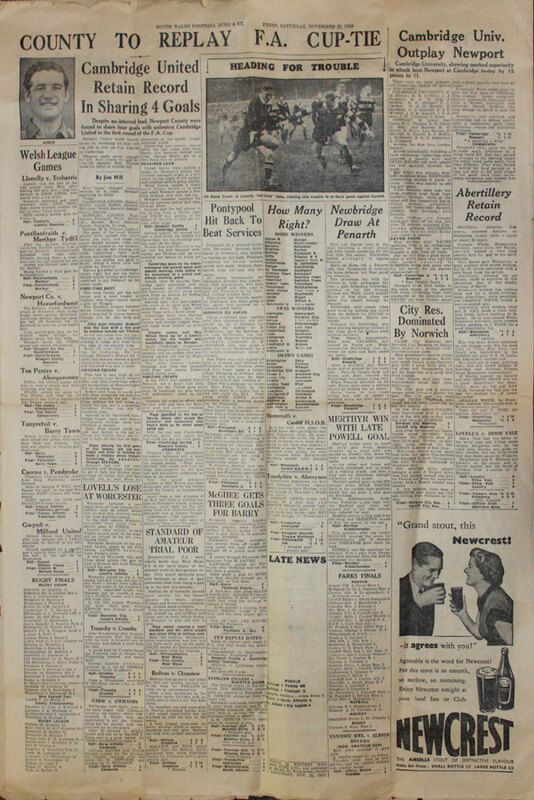 A 10 page broadsheet newspaper with the usual folding creases. 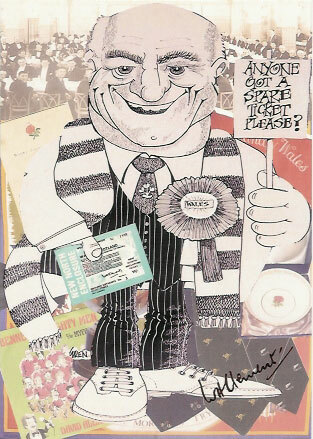 MERVYN DAVIES autographed print from an illustration by Gary Keane, approx 10" x 8"
Listed below are some of the items from the collection of Ieuan Morlais Evans, we will be adding to this collection regularly over the next couple of months. 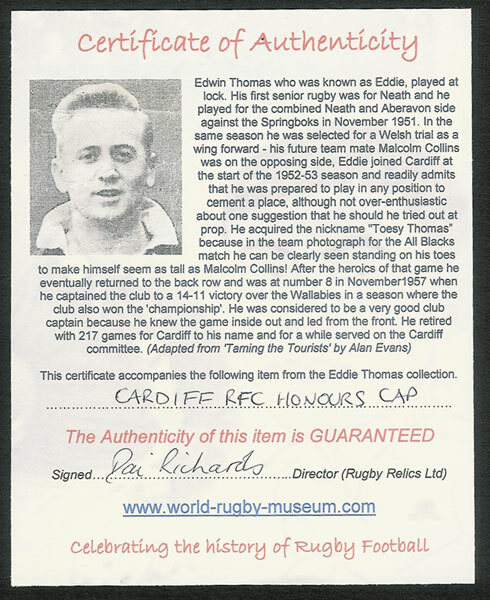 Please scroll down to see the memorabilia currently available in this collection. 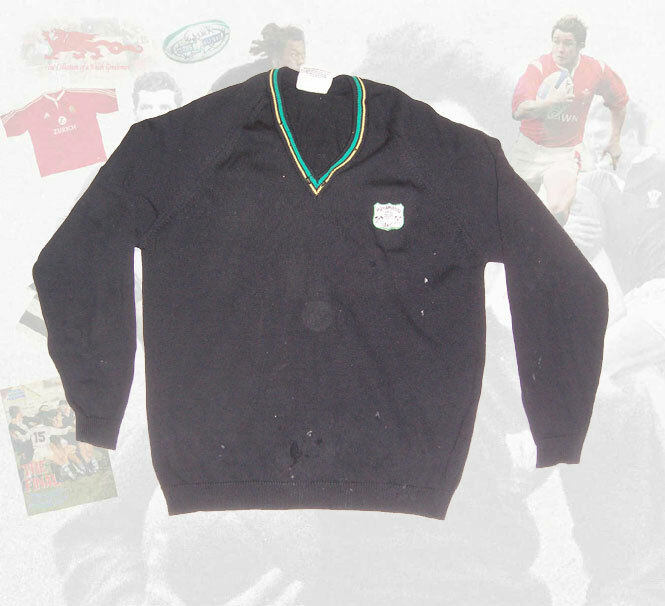 The ties from the Ieuan Morlais Evans collection can be found on the Rugby Ties page. 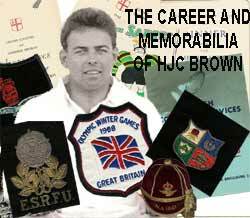 To view these please click on the link below.